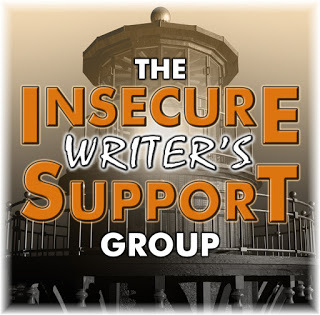 The Insecure Writer's Support Group is a safe place for insecure writers. Misha Gericke, LK Hill, Juneta Key, and Joylene Buter! 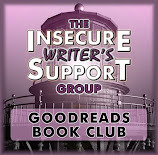 Please help us to give our newest blog hop sign-ups a warm welcome, IWSG style. Let’s visit their blogs and show them some love today. 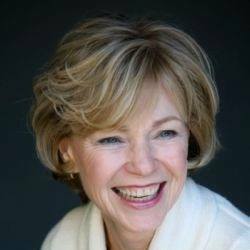 Heather M Gardner joined our team earlier this month to take over the Conferences Page. Welcome, Heather! C. Lee McKenzie has just joined our team on Monday as our Media Relations Specialist. Welcome, C. Lee! OPTIONAL QUESTION: How has being a writer changed your experience as a reader? I can spot errors so much easier now, but I think that's more because I'm a freelance editor than because I'm a writer. When I read, I often find myself thinking, A comma should go there. That word got left in by accident. There's a typo. As a writer, though, I know these are common mistakes. They happen. Even after having an editor. No one is perfect. No story is perfect. So I never use this against the writer. Would you like to be featured in our newsletter? 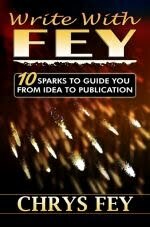 We have 600+ subscribers, so this is a great opportunity and something for you to add to your publishing resume. Follow the instructions below to submit an article. 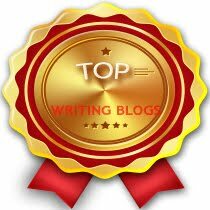 Topic Ideas: your number one writing, publishing or marketing tip; a motivational pep talk or inspirational story; a snippet about something you used to be insecure about but overcame, or an Aha moment you had about writing/publishing. *Include a link for your by-line. A title for the piece is also helpful. I look forward to getting your articles! OPTIONAL MARCH 1ST QUESTION: Have you ever pulled out a really old story and reworked it? Did it work out? 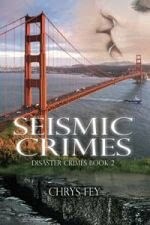 GIVEAWAY: Enter this Rafflecopter giveaway for the chance to win a signed, paperback copy of Seismic Crimes and Hurricane Crimes playing cards. Those playing cards are cool! I've heard how those are becoming more popular now - great idea. Most readers don't notice. Lucky for us. Great post and a warm welcome to new members and admin members. Have a lovely month.....just think next month it will be spring. Thank you, Yvonne! I hope you have a lovely month, too. I love the new member shout-out. Great idea so that we can all hop on over to their blogs to say hi. LOL yes denial will work. I do tend to notice typos more but unless it makes a sentence difficult to read I tend not to care about things like commas or other tiny mistakes. Commas are so silly, so I try not to care so much if I notice comma errors. When I got to go back and re-edit my first book, I found more than comma issues. Funny how we improve over time. I've been an admin for a year now, Hilary. :) I do the newsletter. Too many typos in a published work - book, article, etc - drive me crazy. Just the other day, my husband showed me an online article in a big newspaper/magazine where the word should have been "customer" and was instead "costumer." In. The. Headline. Editors can definitely miss stuff. It;s hard to spot everything. There have been a couple of times when I've said, "Why did you include that?" We know a book can never be perfect, so at some point we do have to move on. No matter how hard I try I find myself editing as I go along. Nope. A book can't be perfect. Not even best-sellers are perfect. Luckily for us writers most readers don't notice passive voice or comma splices. But as writers we have to be careful of these errors. We do. *sigh* We do. Denial works for me! We are our own harshest critics, though, and your average reader isn't likely to notice these kinds of things. 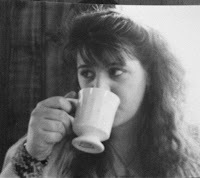 I just think it's funny that now that I'm proficient at writing, I can even notice the occasional flaw in books from world class publishers. I guess no one really is perfect. I notice flaws in international best-sellers, too. No writer is immune. Great post. I'm not good with picking up the grammar mistakes, but I will see plot holes. I'm overly critical of my own writing and want to make sure things all line up, so when reading I will look for things that don't quite make sense in the story. That's good, Meka. No one likes a plot hole. "What helps more? Denial." <--- Love it. De-Nile is a river in Egypt. So old and corny yet it makes me crack a smile. Hopefully it made you smile too Chrys. It did make me smile. Thanks, Sheena! I always notice grammatical errors in books, I've always been good at spelling and grammar so it pulls me right out of the story if I notice a mistake. That's a pain, for sure. If a book has a lot, it does ruin the reading experience for me. It always bugs me when I see more than a handful of scattered typos or errors that made it into print, or a really obvious error. For example, one of the nun books I've read had a line where a nun "wrapped" on the door," and another line about a ship setting "sale." I also read a book from a local woman, about how her sons became Orthodox in college, and it was so full of grammatical errors and awkward writing (e.g., "shrugged my shoulders" instead of just "shrugged"), it took away from the story. I doubt she used any proofreader or line editor, since she clearly wasn't an experienced enough writer to handle most of that herself. Those typos would bother me, because it's not a simple mistake but a misunderstanding of the words. I'm loving those playing cards, too! I think I'm a more critical reader since I've been writing professionally. And at times, I do it to a fault. I drive myself nuts. It can drive you nutty, especially when you just want to enjoy it. I've never tried audiobooks, but I'm tempted to now. Typos don't bother me. It's when the problem is deeper--character arc, plot structure, pacing. Those are the issues I cringe over or end up giving up on a book. Those are good reasons to give up on a book. I can't help catching errors, but depending on the content, I'm pretty forgiving. 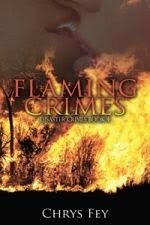 I think (when not off the cuff) character development, plot and pacing should be fine-tuned long before going to print. Character development, plot, and pacing should definitely be found and fixed beforehand. That's what beta readers are for and why they are so crucial. I don't get too bogged down with errors. I just enjoy the reading experience. 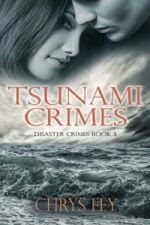 Tsunami Crimes is fab, Chrys!! Thanks for all your hard work with the IWSG team. Have a great month. There's so much happening in IWSG right now. POV mistakes bother me more than anything when I'm reading. And the use of adverbs by successful authors. How do they get away with that. You're so right that nothing is perfect - I see typos even in bestselling books publishing by the big-time. I've spotted typos and missing comas in books by some of my favorite authors. That's after they've had literally a thousand eyes on it (through Advance Reader Copies)! 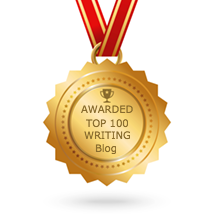 Thanks for stopping by my blog, Chrys! You rock. I see errors that break my reading experience. However, I try to switch off my writer self when I read. 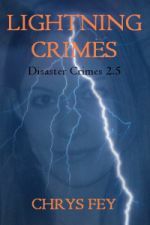 As for going back to old work, I'm re-editing my debut novel for a possible re-release and it is rife with grammatical errors, like passive voice. Not being hot on grammar I use Grammarly, although it has to be ignored some of the time. Real problem is that I'm taking out a sub plot that most readers questioned - they were right. Passive voice is something I have to tackle in my older works, too. I know thanks to my editors I'll sometimes notice if a comma is missing in a book. Too bad I still doubt every single comma in my own writing. Commas are little stinkers. Don't stress too much over them. I'm noticing more when I'm reading as well - but I'm still tripping over those pesky commas! Not many readers notice commas, or the lack of them, as long as the sentences make sense. So let your cringes float away. Thanks for the lovely shout-out! I'm happy to be a part of this great team! 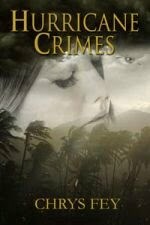 If the story is riveting, the reader will forgive a multitude of slight sins. What a neat marketing idea you had with those playing cards! I'm pretty forgiving, but occasionally it's distracting enough that I lower rating slightly. I just don't sat so in the review. If no one's complaining, they didn't notice. I imagine I'll be reminding myself a lot that most people won't notice the errors unless they're grievous. But I will!! Remind yourself as much as needed. I do the same. I try not to notice minor errors too. I know how often I make those same mistakes, can't catch them all. Awesome how the IWSG is expanding. It's harder to catch mistakes in our own writing. 'What helps more...denial.' Ha! Love it! Somehow I keep missing my newsletter. I checked to make sure I was signed up. Maybe I better check my spam filter. I've heard that a couple haven't received their newsletter. It's because certain email providers might block it from even going into the spam folder. 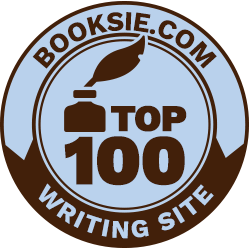 Unfortunately, there's nothing I can do about that, but...on the IWSG Site there's a link in the side bar, if you click it, you'll be able to review past issues. I won't put down a book for a few typos.. As you've noted, they happen. And I'm sure most readers don't notice a missing comma here and there. Thanks for stopping by my blog. Typos happen. Oversights etc. I get annoyed when there are an abundance of them. One or two, a missing comma? Nah. That doesn't bother me. You have me curious about 'bi-line'. I always thought it was by-line :) Nice opportunity to submit to the newsletter. Nice to be back at your blog, Chrys! I get so much anxiety if I have to read over something I've written that's already been published. I know I'll find a million things I wish I could fix. Commas are nice and I wish one of my favourite authors in particular (Joyce Carol Oates) could use more. If they're there to help us read longer sentences better, great. If they're not, I somehow can add my own invisible commas to get through those sentences lol.